Cobhams Asuquo Music Productions presents: An Evening With Bez. It's holding tomorrow Saturday July 16th at Swe bar, Onikan, Lagos. Time 6pm. 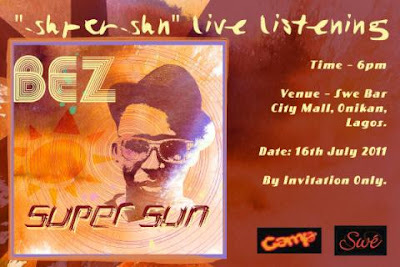 It's an intimate showcase of new songs from his forthcoming debut album, Super Sun.